Before we get into the news, we talk about the games we have been playing. Adam is giving Chrono Trigger another go thanks to the recent graphical patch. Meanwhile, Zack bought a new computer so he can actually do the podcast again. Then we head into the stories of the week! NISA had somewhat of an eventful week as they finally released Ys VIII: Lacrimosa of Dana on PC, but it came in hot. They bookended things on a more positive note with Disgaea 1 Complete, a remake of the first entry. 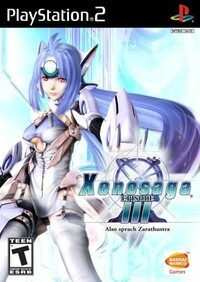 Moving on, with Bandai Namco's trademark of Also Sprach Zarathustra, could we see a Xenosaga HD happening? And while Kingdom Hearts III got a new trailer focusing on its minigames, another piece of exciting news was Valkyria Chronicles coming to the Switch! All that and more on the latest edition of our podcast! This edition of the Tetracast features Adam Vitale (@king_seda) Chao Min Wu, and is hosted by Zack Reese (@zackreese). As always, you can find links to the full episode of the podcast below along with our RSS feed, and also subscribe to us on iTunes.